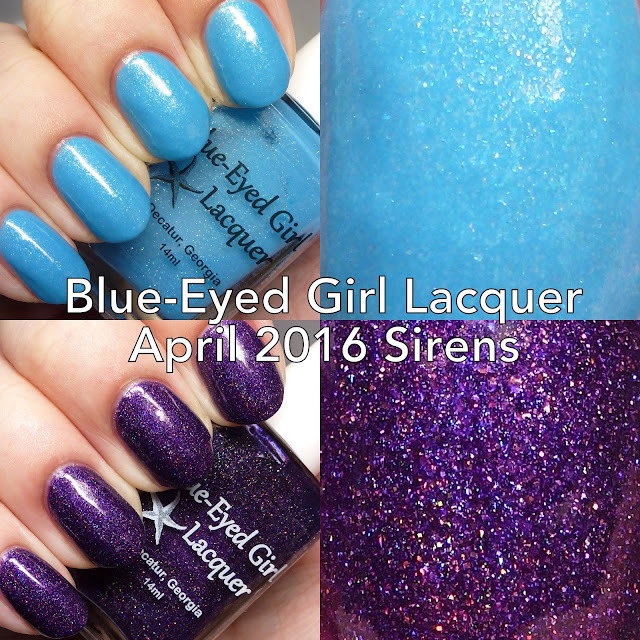 Blue-Eyed Girl Lacquer has a couple of new Siren Polishes available this month and they are stunners. 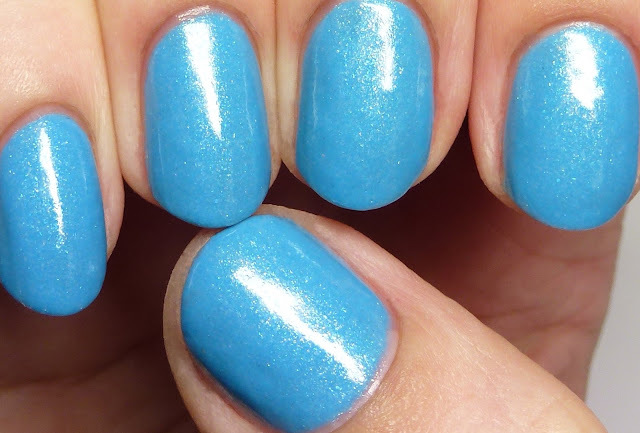 One is a holo with shimmery sparkle and the other a multifaceted blue. Let's get right to it! Siren Bids Adieu to Her 20s was a surprise launch and is available in the members only section of the group BEGLove on Facebook. Join for a chance to purchase special editions like this! 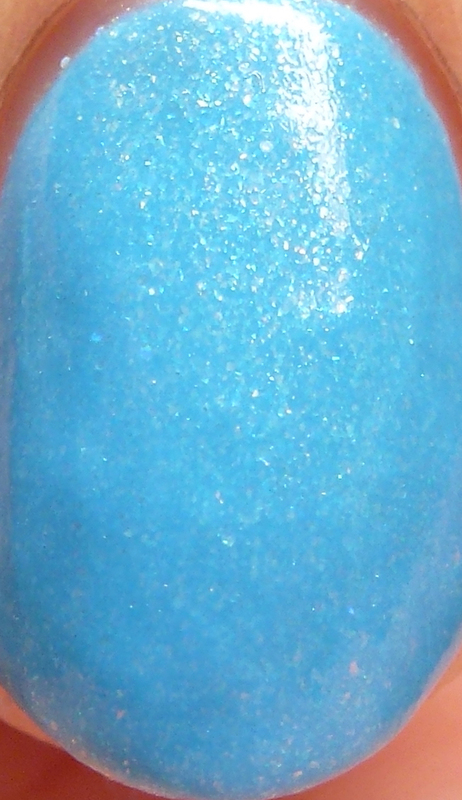 It is a sky blue with clear holographic glitter and aqua, gold, and green, shimmers. I wore it in four very thin coats but two to three would do. It does have a slight tendency to bubble on my very warm hands, so I recommend thin coats. Siren's Vamp Chic Spring is a limited edition available for preorder through tonight and then as a limited over pour next month. 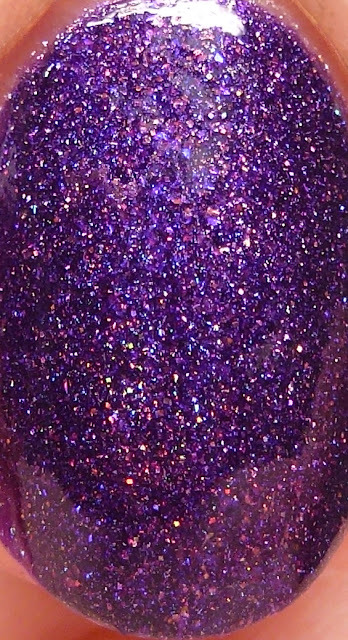 It is a deep grape purple scattered holo with gold holo microglitters and gold and purple microflakes. 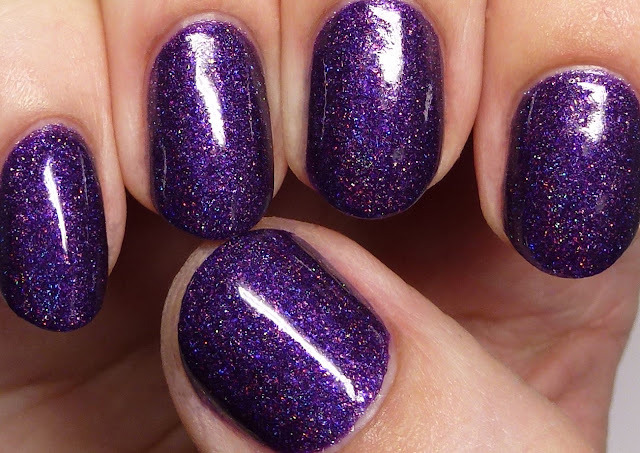 It has a great formula and a strong glow to it. 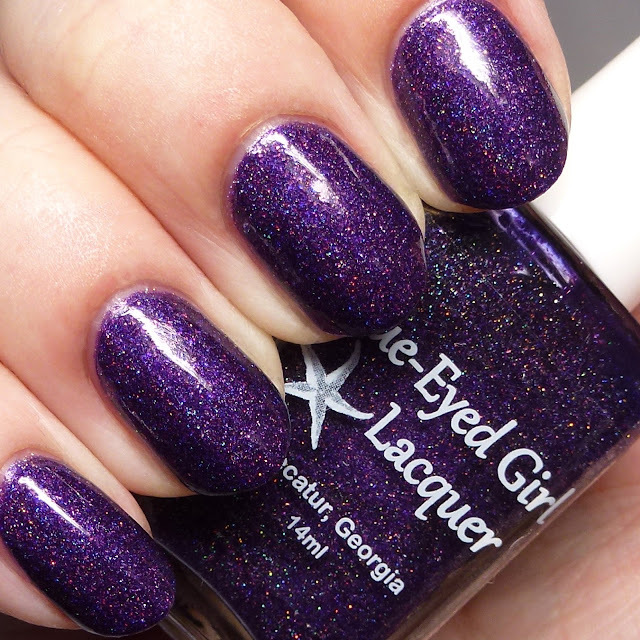 Due to the glitters, it is slightly textured but smooths out with top coat. Run don't walk to the Blue-Eyed Girl Lacquer store if you want these! And please don't forget to join the wonderful BEGLove group to purchase special editions. 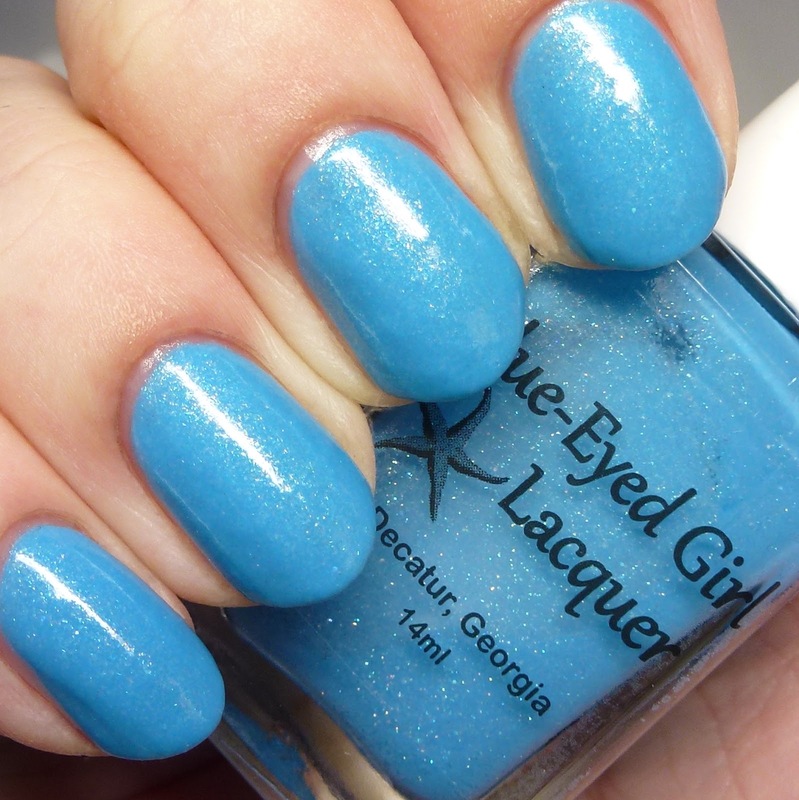 Blue-Eyed Girl Lacquer is made in Georgia by blogger Julie.